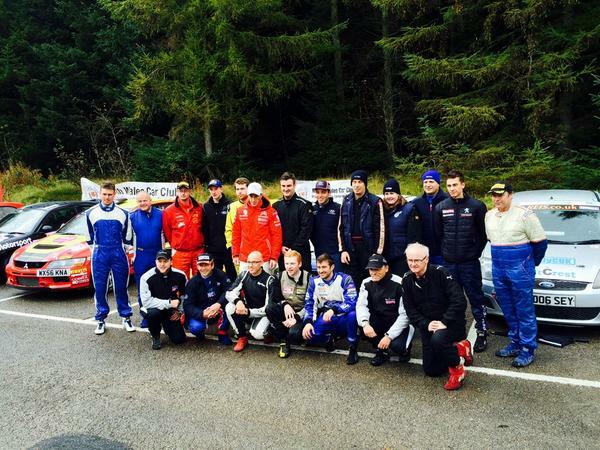 We were invited to be part of the WRGB Media day at the Llyn Brenig Visitor Centre. The day was using a small 1.5 mile stage, which featured a short section of gravel. However this being Wales it was rather wet. After the recce run I was glad I had fitted the inters and A539’s as there was a lot of standing water and mud on the inside of the corners, plus of course the gravel section. After a lot of waiting around, and watching the WRC stars Evans, Meeke and Paddon it was our turn and there was even a photo shoot with us and the WRC stars. After that it was down to giving the media and Motorsport News competition winners rides around the short stage. 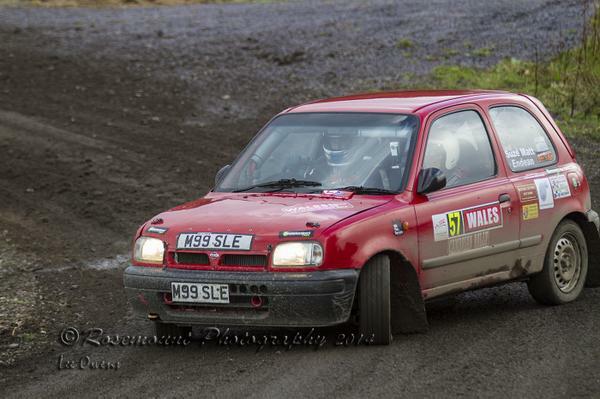 The stage was ideal to shakedown the Micra after a couple of month’s away and lots of work done to the car. For a short stage it had everything you could want, flowing corners, crests, dips, a chance to get air, and a bit of gravel. One thing with the stage was that it was clear that with a bit of cutting it would soon become a mud bath, which it duly did, which lead to a fair few moments at times! Here is an on-board video of one the run’s. Overall apart from the lack of grip by the end of the day, it was great fun to be back behind the wheel and throwing the car around, and testing the car out, which performed perfectly. Next up this weekend, is cleaning off all the mud and then the final pre WRGB jobs (see next posts), then the following weekend will the see the Micra out at the Go Motorsport Live East! Show.